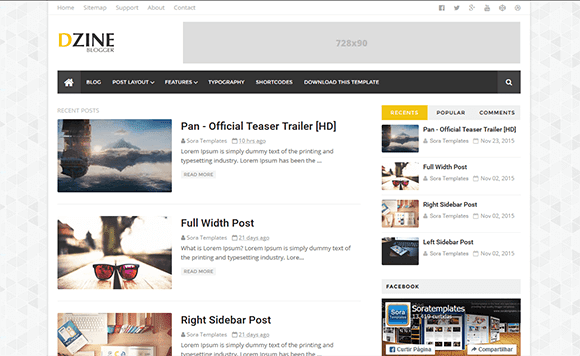 Dzine is a light and elegant theme tailored to be exceptional on all kinds of blogs. Not only its modern design is pleasing to the eyes, it packs in robust yet easy-to-use backend system all managed through Blogger layouts. Dzine Blogger theme can be used for multi-purpose websites. Whether you want to create a blog, a news website, or even a personal profile page, Dzine is always the right solution. The user-friendly Blogger layout interface will help and guide you through to build a fully working and clean website.